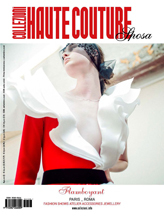 [sg_popup id=”18″ event=”onload”][/sg_popup] Maria Elena Couture will showcase her new couture line Mimmo & Lola in combination with her latest luxury handbag designs during the upcoming 27th season of Couture Fashion Week New York. Marking the prestigious couture label’s clothing debut at the event, the fashion show will be held at 6:00 pm on Saturday February 10, 2018 at the Crowne Plaza Times Square Manhattan in New York City. Maria Elena Coutures’ new distinctive clothing line Mimmo & Lola will debut on the runway in synchrony with her exclusive handbag line. Maria Elena Couture creations strive to blend unique contemporary design with a touch and flavor of the Cuban culture that defines her. Thinking of the woman on the go who wants to be defined by an exclusive fashion aura while she goes through her day, Maria Elena’s irresistible and inimitable designs carry you with panache. The captivating colors and unique styles of Maria Elena’s leather and fabric handbags and the new Mimmo & Lola couture fashions are the perfect addition to every woman’s upscale fashionista collection. Designer Nancy Ihlefeld will present her latest collection for her IHLE BAGS label at the upcoming 25th season of Couture Fashion Week New York. The runway show will be held at 8:00 pm on Friday February 10, 2017 in the Broadway Ballroom of the Crowne Plaza Times Square Manhattan in New York City. IHLE goes beyond trendy, with its own style of true luxury, creating handbags that are very eclectic, using bits and pieces of what designer Nancy Ihlefeld likes to call “a life well lived.” Small batch artisan craftsmanship means every handbag is completely unique. All handbags are crafted in the USA some sort of variation within each of them. When they arrive in the arms of the consumer, each IHLE BAG embarks on its own journey, complementing the story of the amazing person carrying it. IHLE is anything but ordinary and designed with the extraordinary in mind. “I’ve always had a passion for design and this silent mission to find what I was meant to do, yet nothing I pursued ever seemed to be the perfect fit, until now!” says designer Nancy Ihlefeld. “Having never really sewn more than a few hems, I taught myself to sew my first handbag on a 1950’s sewing machine my uncle had picked up at a yard sale. Little did I know, this unique antique would sew my first collection! 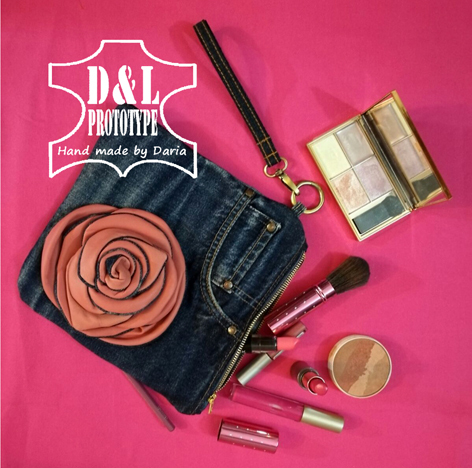 Three years later, through bursts of obsession and trial and error, I found myself happily developing not only a handbag line, but a company with products that reflect what I love and a brand that was becoming recognized and sought after,” she says. Since then, IHLE (pronounced ‘eye-lee’) has been striving to step out and put a stamp on this world and be a reminder to live this life like you mean it, create YOUR story! Often giving more than 50% of its profits to many organizations, IHLE intends to help and inspire people to live their life with purpose. Galeria de Modelos is pleased to present the latest collection by accessories designer Teresita Rodriguez Tanon. Part of the 24th season of Couture Fashion Week New York, the fashion show will be held at 4:00 pm on Sunday September 11, 2016 in the Broadway Ballroom of the Crowne Plaza Times Square Manhattan, 1605 Broadway, New York City. With a successful career spanning over 20 years, Teresita Rodriguez Tanon is a native of Naranjito, Puerto Rico. 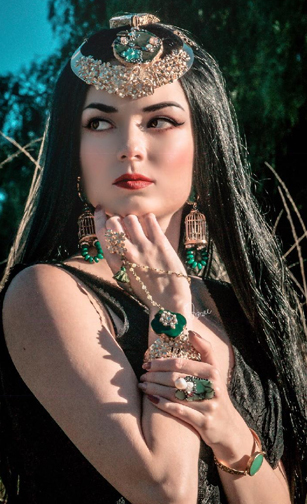 She is a graduate of the Puerto Rico Merchandising Institute, and worked as a designer for K-Love Fashion as well as with numerous performers and beauty queens from the island. Ms. Tanon has shown her designs at many important events including Gotitas de Amor por Haiti and Puerto Rico South Fashion Week, as well as Couture Fashion Week New York. Each of her distinctive creations, for both women and men, is unique and inspired by her deep faith in God. She is currently working on projects aimed at expanding her line in New York City and California. The handcrafted VITVITY luxury handbag collection will be introduced to the global market on September 9-11, 2016 at Couture Fashion Week, the Crowne Plaza Times Square, Broadway Ballroom, 4th floor, 1605 Broadway, New York City. 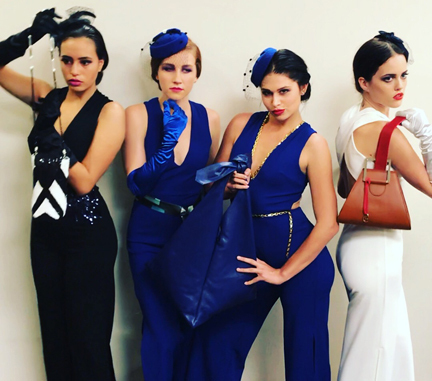 The magnificent and exclusive VITVITY handbag collection will also be presented on the runway with the impressive gowns of Andres Aquino, fashion designer, founder and producer of Couture Fashion Week, on Saturday, September 10, 2016, at 8:00 pm. Browit America, Inc. also unveils their new website: www.VITVITY.com, which showcases the VITVITY brand’s dedication to crafting the finest three dimensional effects in luxury leather available in the luxury accessories market today. VITVITY is proud to introduce our Luxury Handbag Collection. It is with profound pleasure that we invite you to rejoice in the 5000 years of artistic cultural heritage of China, interpreted into the art of the handbag. Each collection translates an ancient Chinese art into a functional, luxurious and stylish fashion accessory. Each piece will transport you to the auspicious and beautiful cultural history of China. We invite you to join us and explore our exquisitely crafted handbag collection.